Summary: You may never be strange to Windows registry. But you may have little knowledge about the relationship between your operating system’s performance and the registry. Do you need to clear the registry? 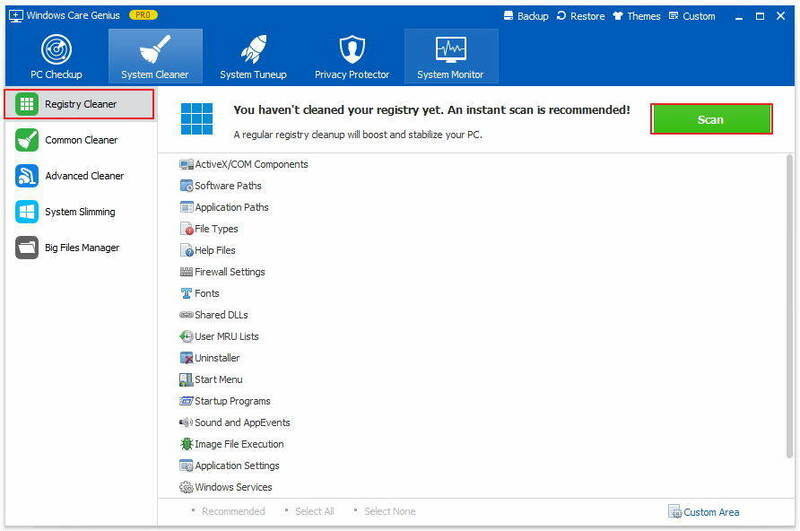 How can you select a reliable registry cleaner for Windows 10, 8.1, 8, 7? This page gives an answer. Part 1: Why Need to Clean the Registry? Part 1. Why Need to Remove the Windows Registry? The Windows registry is a database that lists all the configuration settings that determine how Windows looks and behaves. The registry also contains information about drivers and other essential programs, like DLL files. Practically, everything you do in Windows is recorded at somewhere in the registry. When you install a program on your PC, the program would save its settings to the registry. But when you uninstall it, its settings would still stay in the registry. Windows doesn’t efficiently clean them up after they are no longer needed. After your computer used for years and careless software installation, the registry gets mucked up quickly, and it would eventually lead to performance degradation, system crash, or even a failure to boot. Here comes an urgent need for how to clean Windows 10/8.1/8/7 registry regularly to speed up your PC and keep your system running smoothly. Trying to manually edit and remove your registry can create errors in the registry that make it impossible to load Windows. Some registry cleaning programs have been known to delete important registry keys or essential DLL files. If you decide to use a registry cleaning tool, make sure you choose one that’s reliable and safe. 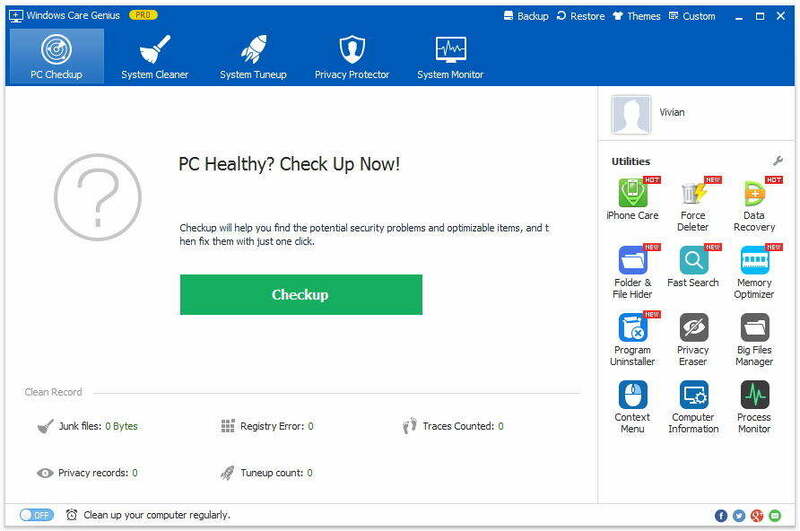 Here is an excellent option: Windows Care Genius, the best registry cleaner ever. By automatically scanning the Windows registry, it finds errors and residual items in the registry and then cleans or defrags them quickly. The best part is, Windows Care Genius is very safe as it recommends items safe to remove. You will never worry you delete the useful files. 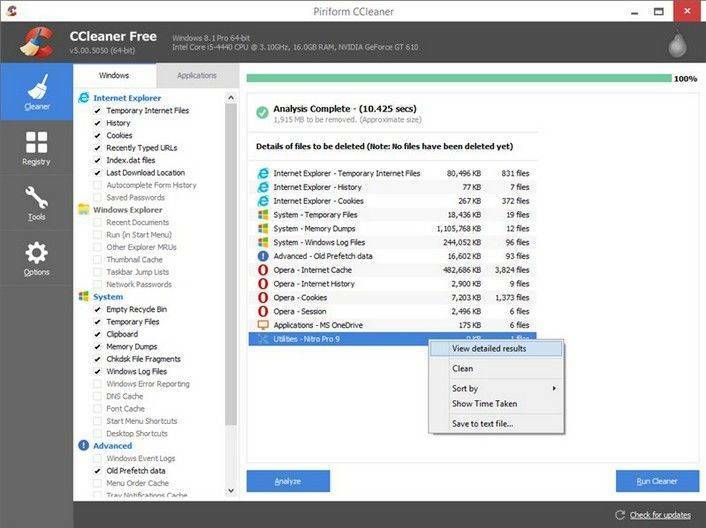 Moreover, this Windows registry cleaner comes with a “Restore” button, making it possible to retrieve important entry deleted by mistake. To get started, free download the program from the following on your Windows 10, 8.1, 8, 7, XP, Vista. 1.Run the registry cleaner and click “System Cleaner” and then choose “Registry Cleaner”. Click “Scan” to find entries that should be deleted. 2.After scanning, all registries will be displayed. You can uncheck any entry you want by clicking on it. Click on “Recommended” if you are not sure which to remove. Then just click on “Clean” button and the tool will clean everything selected immediately. Note:Before you start to delete registry, you can click on “Backup” to create a full registry backup in case you accidently delete some important ones. If you want more improvement in performance, you can also defrag registry. Just click on “Registry Defrag” and click on “Analyze”. For more PC speed up tips, go to our previous post about how to speed up slow Windows 10 PC after upgrade.